I have to give credit to my husband for naming this amazing dish, although the recipe itself is all mine. This is a recipe I threw together one night when I didn’t know what to make so I came up with something using ingredients we already had laying around. 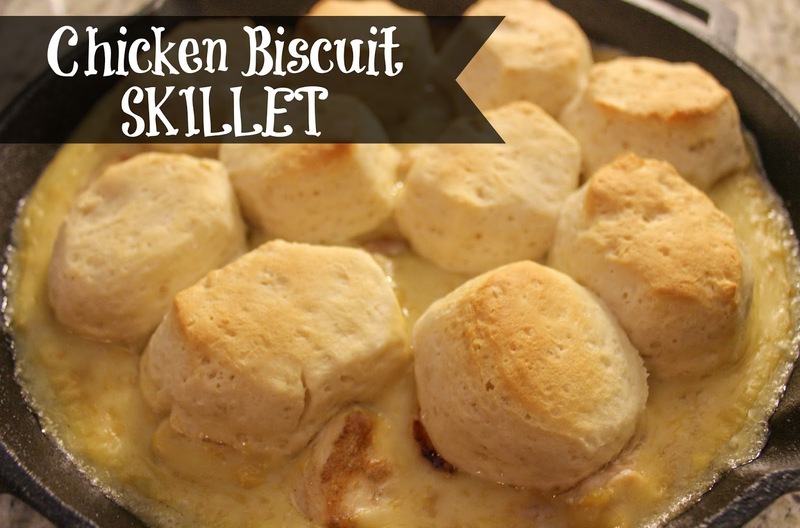 Now it’s a go-to dish in our house especially on cold Winter nights. 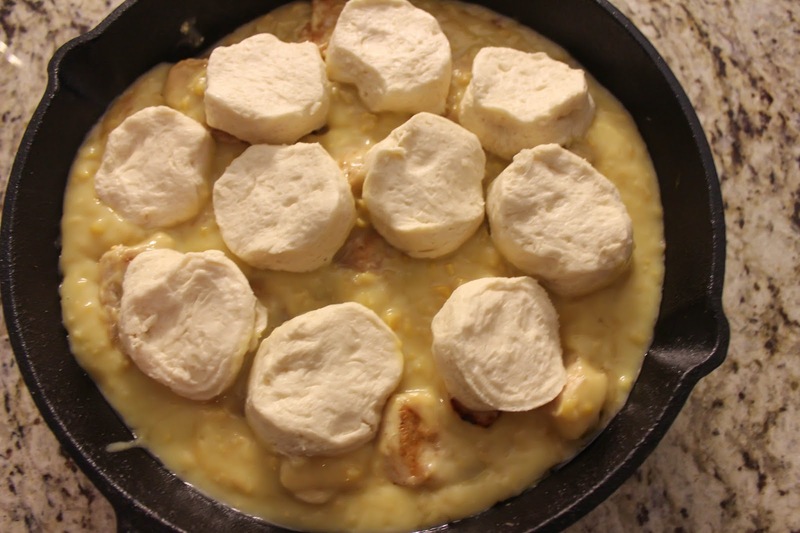 I make it in my cast iron skillet (my new favorite cooking tool) but you could make it using a casserole dish as well. (1) Preheat oven to 350 degrees. 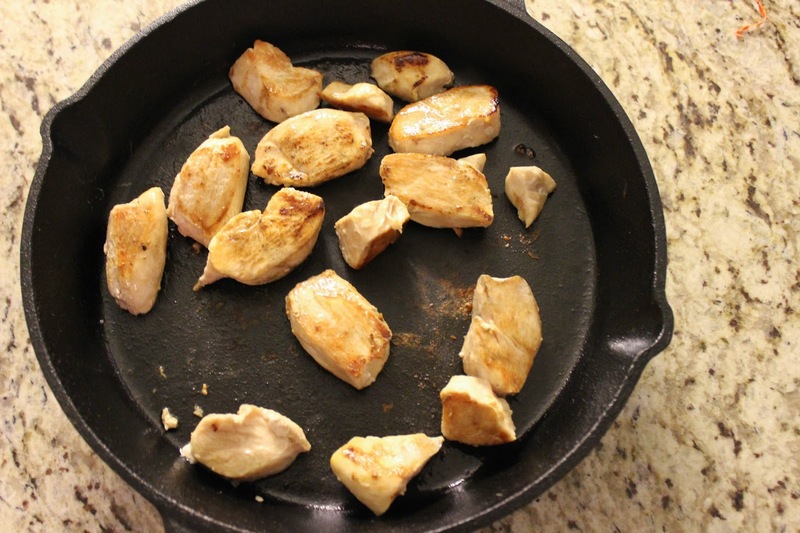 Cook the chicken breast in oil in the cast iron skillet (or frying pan). 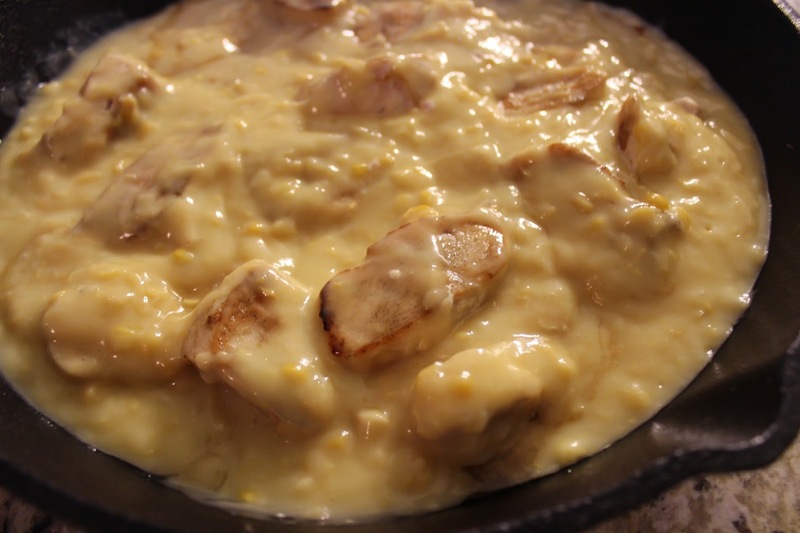 (2) In a separate bowl mix soup and cream corn. Stir into skillet with chicken (if not using a cast iron skillet stir chicken into mixture and pour into casserole dish). 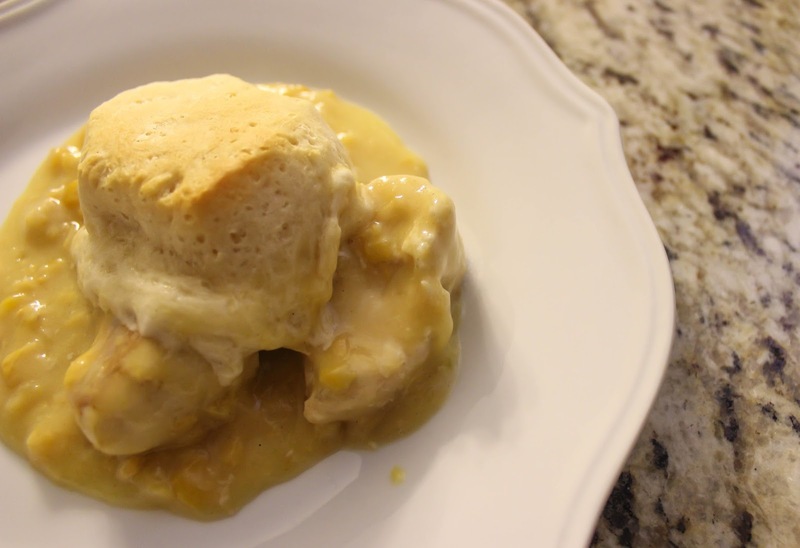 Place biscuits on top of mixture. 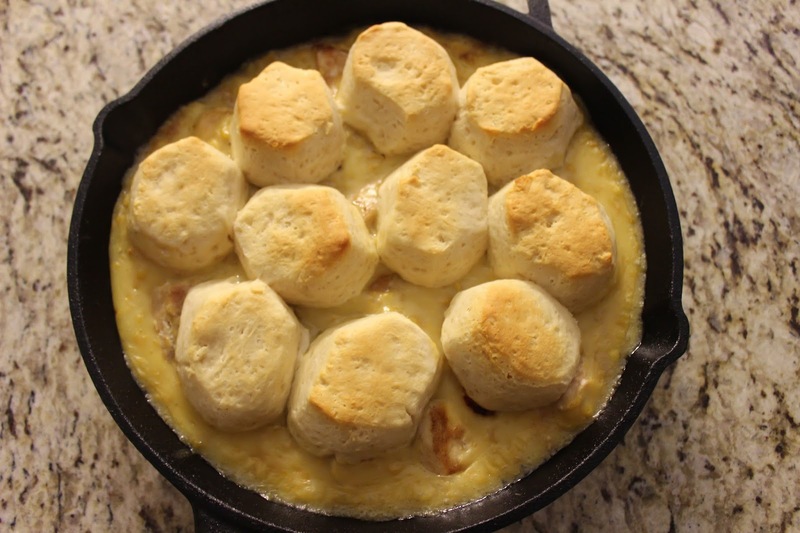 (3) Bake in oven around 14 minutes or until biscuits turn a golden brown color on top. This recipe is hearty and delicious. I love the ooey-gooey biscuits. Enjoy! This looks delicious, I'm definitely going to add it to my list of recipes to try 🙂 Thanks for sharing! This looks delicious and easy! And something that my kids would love, which is not easy to find! Yum…. A great recipe to try. Looks very good and easy to make! Mmmmm, so simple and yet it looks really delicious! OK this sounds SO SO SO GOOD and EASY! My two favorite things when thinking about a meal to prepare!